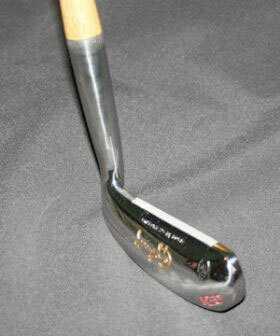 Based in the home of golf, the St Andrews Golf Co. Ltd. has been making high quality golfing clubs for over a 130 years. 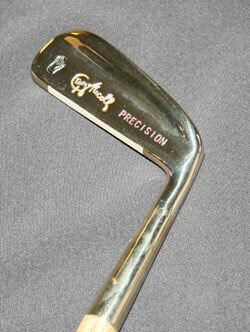 The company first started making iron clubs in 1881 in a forge just south of St Andrews. Made by passionate craftsmen with an eye for every detail. Starting with hickories from the 17th, 18th & 19th centuries right up to the most modern state of the art equipment using the very latest and best materials. St Andrews Golf Co. Ltd is the only golf club manufacturer in the ‘home of golf’ and the last club maker in the world retaining the traditional skills to hand craft playable sets of hickory golf clubs – fully playable authentic period play clubs dating back as early as 1600’s. 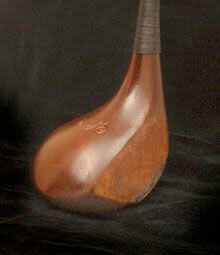 In 1920 he embarked on his most adventurous new series when he launched his hickory putter collection. The collection was made up of 6 different blade style putters. 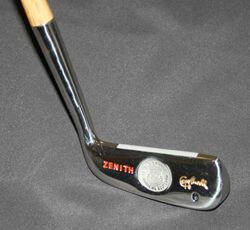 approval on its launch, it remains the most popular putter today. suede leather grip it gives the ultimate in feel around the greens. An age old design that has stood the test of time. 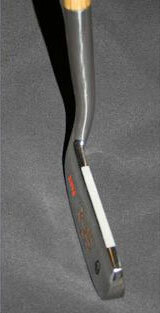 The George Nicoll Brassie is modelled from the head of his famous 1920’s design. This head was revered for its ease of play and is a favourite amongst traditionalists who still enjoy the feeling of a true persimmon head (a modern ball can be used with this club). Made to the same exacting standards as the original . 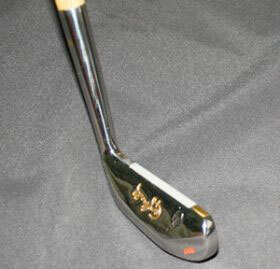 This club is fully playable.